Iconic is a minimalist invoice perfect for modern-day businesses. Upload your business logo, include your company details, use merge tags to include the recipient info and away you go. Basic tax options are supported so your invoices can meet your country’s legislative requirements (VAT, GST ect). 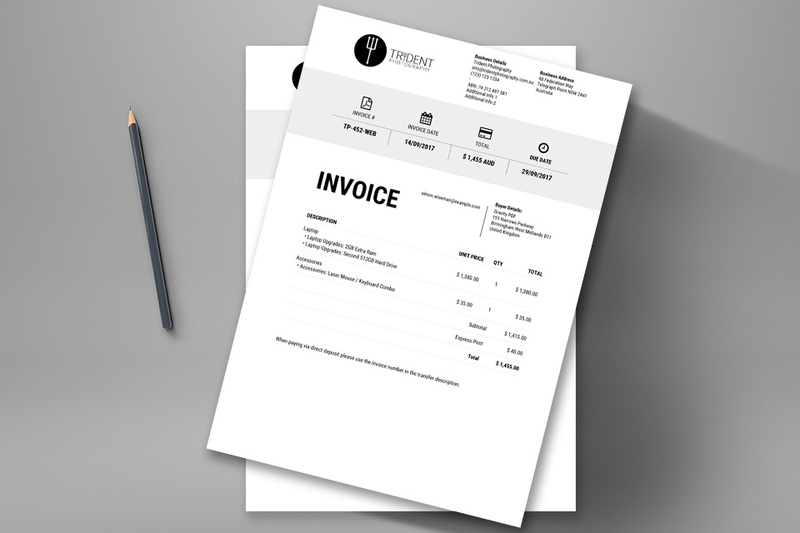 You can also change all the labels used in the invoice, translate them into your native language and use conditional logic to offer a truly multilingual invoicing system. 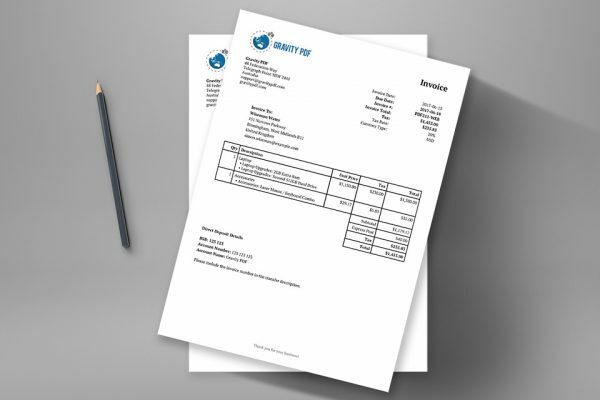 Use Invoice Iconic to automatically generate an invoice using product data. 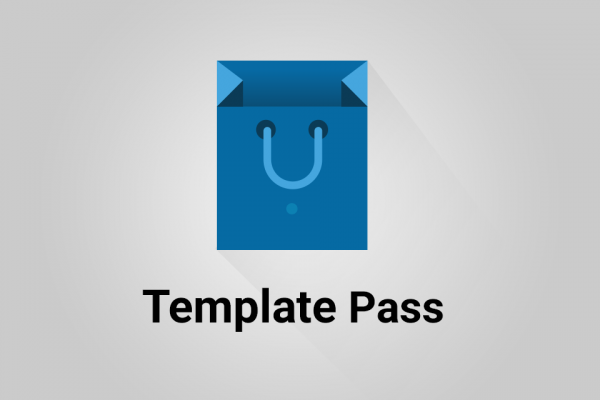 It can be purchased from our template shop. If you aren’t capturing payments instantly via PayPal, Stripe or Authorize.net adding the Due Date to the invoice is a must. You have the option to show a Due Date X days from the entry submission date. Gravity PDF integrations seamlessly with both Gravity Flow and GravityView. Gravity Flow allows very advanced workflows and you can integrate and email Invoice Iconic at any step of this process. 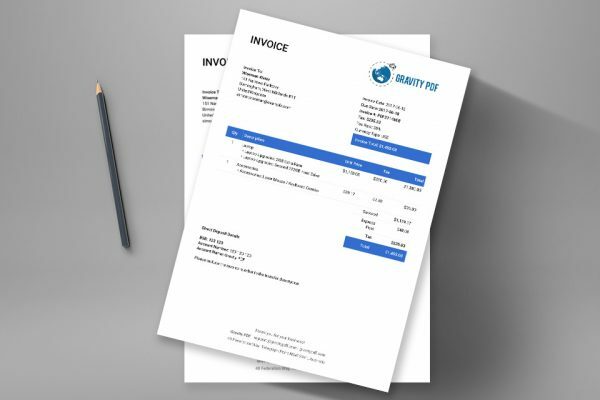 Using GravityView and their Advanced Filter extension you’ll be able to make a members area where users can easily download copies of their invoices. 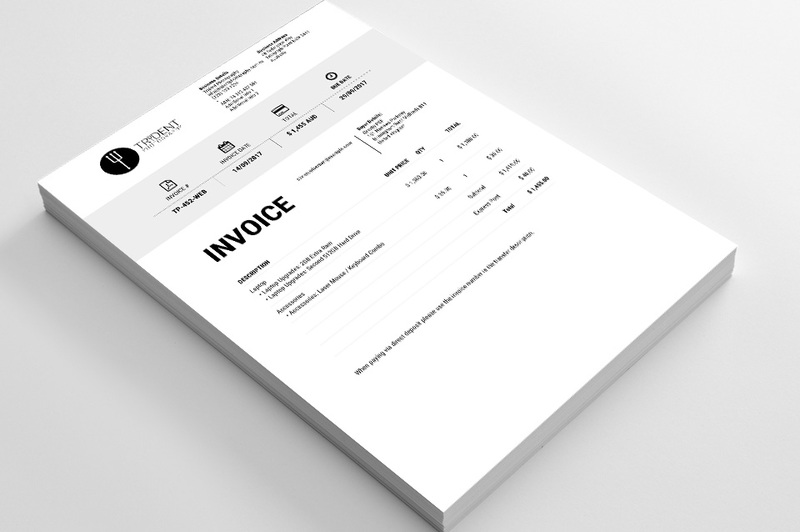 Invoice Iconic comes packaged with the open source sans-serif font, Roboto Condensed, which was designed by Christian Robertson, an interface designer for Google. Roboto Condensed is a geometric typeface with condensed lettering. For the best results we recommend using Roboto Condensed at 10pt. This invoice is so beautifully crafted it puts modern art to shame. Easily match the colour scheme to your brand.